After a romantic disappointment, Honor Bright is ready for something new, a change of scenery. As such, she has agreed to travel with her sister, Grace, when she leaves England for her wedding in Ohio. If Honor ever had any idea that she might one day go back home, her catastrophic sea sickness on the voyage over puts an end to that train of thought very quickly. Even so, that might not have been a problem if Grace had not gotten very ill after they reached America. Now Honor is all alone and mourning the death of her beloved sister, with nowhere to go but on to Grace’s fiance, a man who may not have even known that she was coming. America is very foreign to Honor: the people, the scenery, and perhaps most of all the institution of slavery. Before long, she finds herself drawn by her convictions into the world of the Underground Railroad. 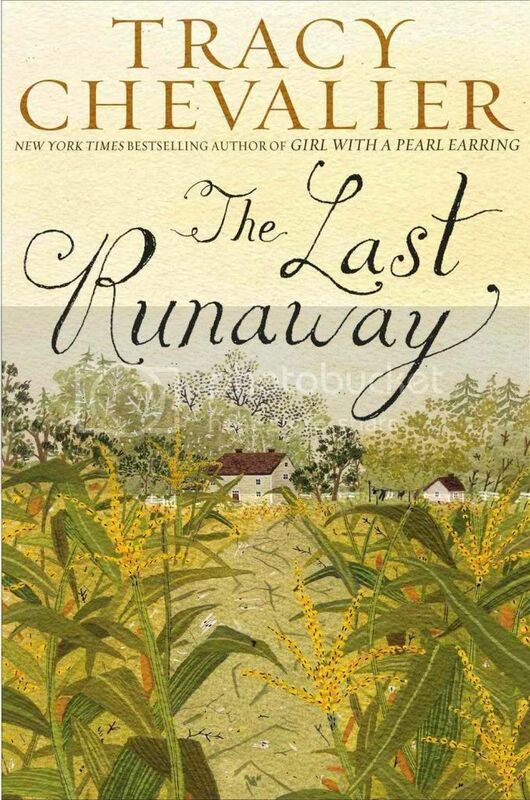 The Last Runaway ended up being less about the Underground Railroad than I had thought it would be. Certainly that was an aspect of it, but I think I learned more about 19th century Quakerism and immigration to the United States than I did about the Underground Railroad. Honor herself does not know much about what was happening. She knows what she believes, but not what is really happening as people attempt to escape slavery. She also has a difficult time initially understanding the complex motivations of those around her. Despite the fact that this was not quite what I expected, it is an interesting and enjoyable book. Chevalier brings Honor to life, her ignorance perhaps doing more to make her realistic than any amount of courage of her convictions ever could. Recommended.